Veya kitabı 33600 Kobo Super Points ile alın! The imperative clause is one of three major sentence types that have been found to be universal across the languages of the world. 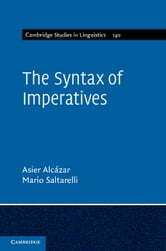 Compared to declaratives and interrogatives, the imperative type has received diverse analyses in the literature. This cutting-edge study puts forward a new linguistic theory of imperatives, arguing that categories of the speech act, specifically Speaker and Addressee, are conceptually necessary for an adequate syntactic account. 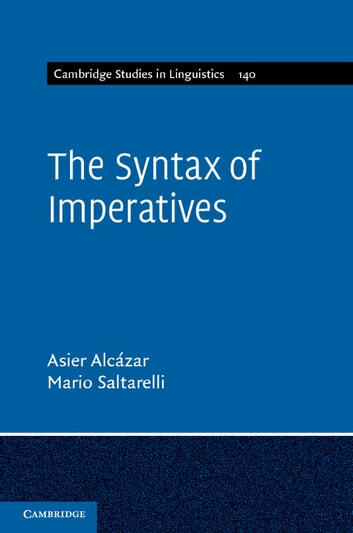 The book offers compelling empirical and descriptive evidence by surveying new typological data in critical assessment of competing hypotheses towards an indexical syntax of human language. An engaging read for students and researchers interested in linguistics, philosophy and the syntax of language.